Join Us For Teacher's Lounge Children's Yoga Teacher Training on April 27-28th! Don’t Sleep Through the Spring! There were also about thirty comments where people complained about feeling the same way and asking questions about why it is happening. Yes, spring is finally here. The snow melted, it’s warmer, and I hear birds outside. However, with all its beauty, spring can make you feel lethargic, tired, passive, and run out of energy. 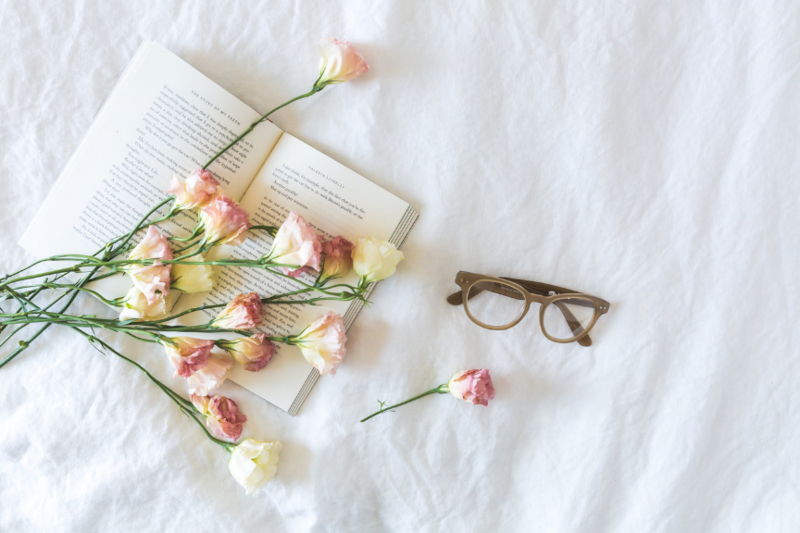 Let me share with you a few tips on how not to sleep through spring, and stay light, energetic and positive. In Ayurveda, the ancient Indian healing science, Spring is considered to have kapha qualities. Kapha is one of the three doshas, or constitutions (the other two are vata and pitta) that have distinct characteristics of five elements. Vata is a combination of air + space, pitta consists of fire + water, and kapha is water + earth. The qualities of kapha are moist, heavy, sticky, low, soft, dull, static, and lazy. That is exactly how you might feel in the spring. The good news is that you don’t have to feel this way. Adding some sharpness, dryness, and lightness will help you to feel more balanced and in tune with the season. Using the time-tested and easy to do tips below, you can enjoy the best of this spring. Here are a few kapha-reducing suggestions you can try, to feel lighter and more energized.Adapt you diet. Your digestion is not as strong in the spring. Eat less and make lighter warm meals. After meals, tea with ginger, black pepper, and cinnamon bolsters digestive strength. You can also make a digestive drink of cumin, coriander, and fennel or sip warm water with lemon and honey during the day. When preparing meals include more pungent, bitter, and astringent tastes. For example, bitter greens, cabbage family vegetables like cabbage, broccoli, cauliflower; onions, garlic, ginger, black pepper, chili pepper, small amounts of cayenne pepper, and an unlimited variety of herbs and spices. Avoid heavy, cold foods and reduce dairy products – they slow down digestion and can be congesting. Rice milk and almond milk are good substitutes. Adapt you diet. Your digestion is not as strong in the spring. Eat less and make lighter warm meals. After meals, tea with ginger, black pepper, and cinnamon bolsters digestive strength. You can also make a digestive drink of cumin, coriander, and fennel or sip warm water with lemon and honey during the day. When preparing meals include more pungent, bitter, and astringent tastes. For example, bitter greens, cabbage family vegetables like cabbage, broccoli, cauliflower; onions, garlic, ginger, black pepper, chili pepper, small amounts of cayenne pepper, and an unlimited variety of herbs and spices. Avoid heavy, cold foods and reduce dairy products – they slow down digestion and can be congesting. Rice milk and almond milk are good substitutes. Do a spring cleanse. After winter your body is asking you to press a reset button and, how I sometimes call it, ‘clean the house’. You do not need to starve. Eat lighter meals based on steamed vegetables and lean proteins, add more fruits and juices, try a week without caffeine, sweets and alcohol. There are many spring detox and cleansing programs available. Choose a short (3-7 day) easy cleanse that you can do at home by yourself, or join a longer, more intense program supervised by a professional practitioner. Stay active. Wake up early before or at 6 a.m and go for a morning walk. Practice invigorating yoga, including sun salutations, chest openers and twists. Learn breathing techniques such as kapalabhati and bhastrika (with a qualified yoga instructor). They will bring a sense of lightness to the mind and are both very cleansing practices – perfect for the spring season. Do any other form of exercise. Join a class or a group, get outside and run, bike, play, or work in the garden. The best time to be physically active is between 6-10 a.m. or 6-10 p.m.
Initiate or rekindle meaningful relationships – to enjoy your friends and loved ones. Spring is a natural time to socialize, it is the time of new beginnings. Get out there find new friends, reconnect with old ones, laugh, play, have a good time. Social interaction is a very natural stress reliever. We all can benefit from turning off our electronic devices, unplugging and remembering how much fun it is to spend time with like-minded people. By implementing these easy to do steps to your daily life, you will feel lighter, sharper, more energized and you will be able to enjoy the beautiful spring season. Taking into consideration that we are all different and uniquely made, there are always adjustments that can be applied to each individual. © Copyright Essential Wellbeing 2019. Theme by Bluchic.